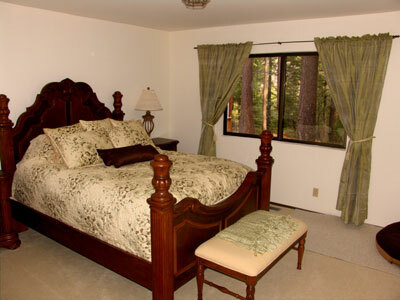 Sierra Solitude is a spacious, beautifully furnished mountain home situated on 3 private acres deep in the forest at an elevation of 5200 feet. 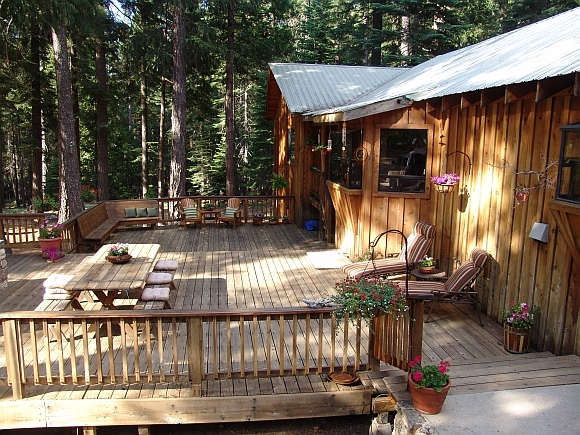 For those seeking extraordinary tranquility and privacy, Sierra Solitude is the perfect getaway. The house was built from the surrounding cedar trees and it's attractive, natural exterior blends easily into the landscape. 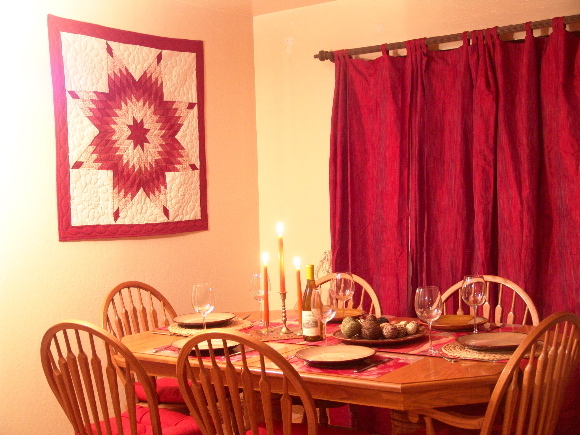 The house has been impeccably maintained and everything is in perfect working order. It's excellent insulation keeps it toasty warm in winter and pleasantly cool in summer. 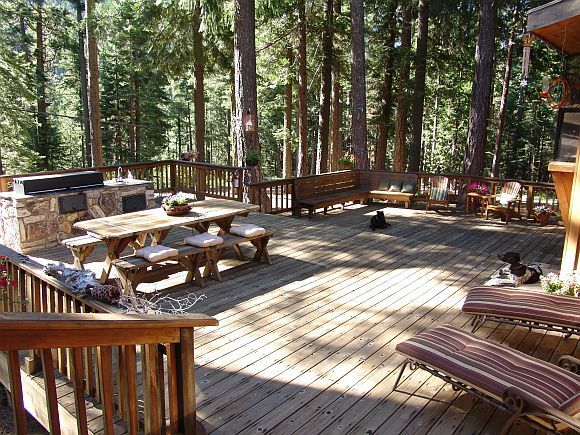 One of the most pleasant features of the house is our large deck with built-in double barbecue, seating and picnic table. The atmosphere here is so peaceful it will lull you into the most relaxed and dreamy state. It's the perfect spot to while away the hours. With 2000 square feet of living space, three bedrooms and 3 bathrooms, there is plenty of room to stretch out and make yourselves at home. The cedar-siding theme is continued indoors, creating an attractive and natural "woodsy" feel. The decor is rich and gracious with many touches of luxury throughout. 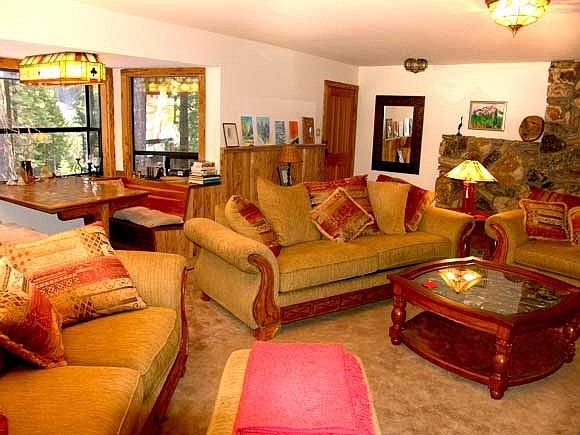 Everything is newly furnished and decorated, and you will enjoy all the creature comforts! 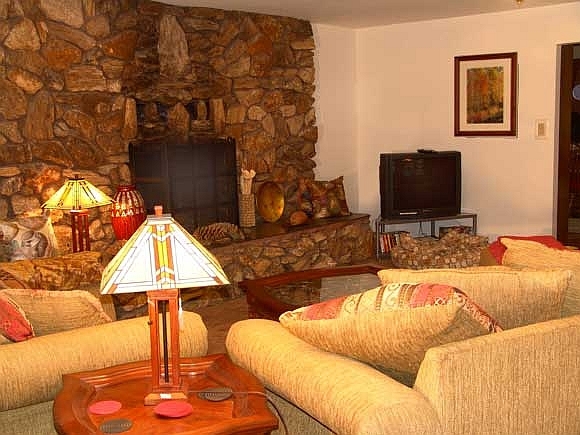 The living room is huge and has a beautiful craftsman-style log fireplace decorated with local quartz rock and slate. There is a 36in TV that is set up to view DVD's (and a large collection of DVDs for you to watch), as well as satellite radio. The living room also includes a queen sleeper couch. There is an additional guest bathroom with shower nearby. 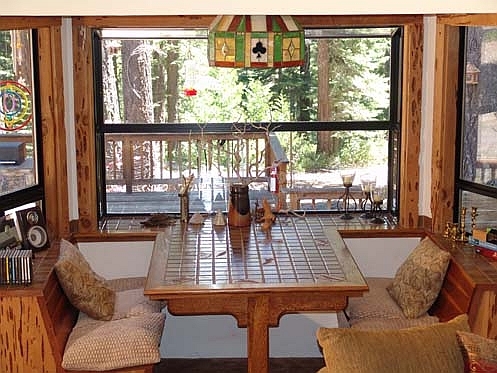 In one corner of the living room there is a delightful custom-made dining nook/games table with seating for 4 and a tranquil view out over the deck and forest. You will find yourself drawn to this pleasant corner of the house again and again. It's the perfect spot to have a meal, sit and read, play a board game, listen to music or gaze out of the window! Leading off the living room there is a large, open-plan kitchen and dining area with a trestle table seating 6. The ideal place to gather and share good food at the end of an active day outdoors! 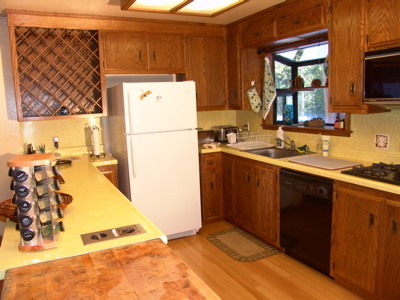 The kitchen is extremely well outfitted with all your cooking and dining essentials! Off the kitchen/dining area you will find a large utility room with a washer and dryer, as well as the second guest bath with shower. The Master bedroom (pictured left) features a queen 4-poster, dressing room/vanity area and en-suite bath with shower. The luxurious and comfortable decor and furnishings will make you feel pampered and relaxed! Our charming queen guestroom features an antique brass 4-poster bed with sumptuous sheets, spreads, throws and pillows. 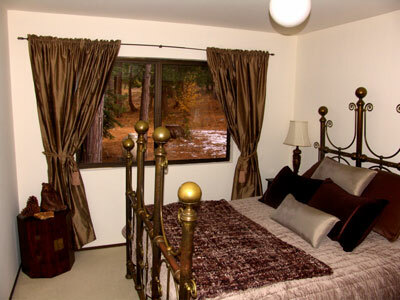 As you lounge in comfort you will enjoy looking out onto the tranquil forest setting! 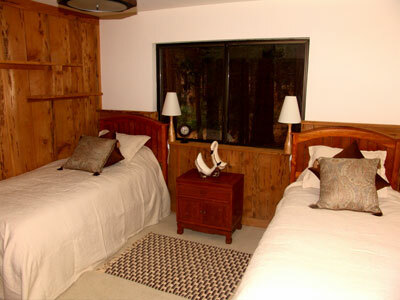 The attractive third bedroom features 2 very comfortable x-long twin beds. Both guest bedrooms share a spacious full bathroom across the hallway. Including the queen sleeper couch in the living room, the house can sleep a maximum of 8. The furnishings in all the bedrooms are new and were chosen with comfort and aesthetics in mind. We have tried to combine the best of both worlds by re-recreating all the comforts of home in a mountain vacation setting.